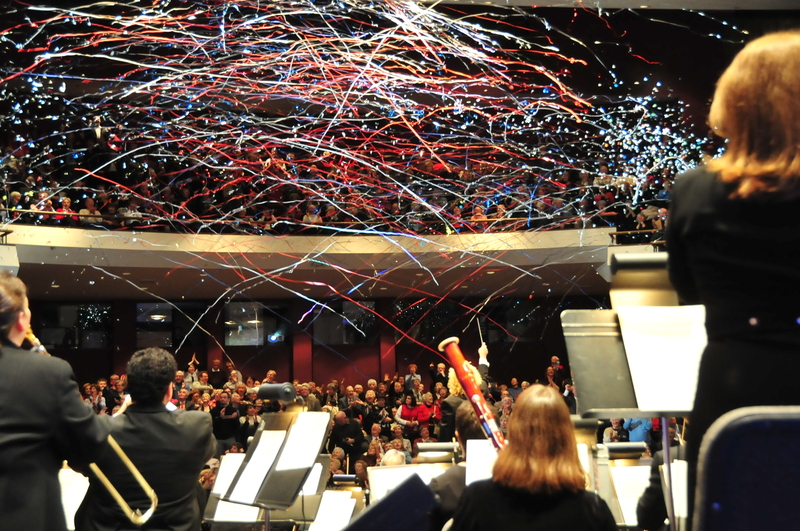 By popular demand, New Philharmonic (NP) expands its New Year’s Eve performances this year at the McAninch Arts Center, 425 Fawell Blvd., to now include three performances Wednesday, Dec. 31 at 1, 5 and 9 p.m. The program will feature works by Josef Strauss, J. Strauss Jr., Franz von Suppé and others, plus a celebratory champagne toast and special surprises. Continuing their tradition of featuring soloists from the Lyric Opera Ryan Center for Young Artists, tenor John Irvin will join New Philharmonic and Maestro Kirk Muspratt to ring out the old and ring in the new 98.7 FM-WFMT will provide a live broadcast of the 5 p.m. performance. “Our New Year’s Eve concerts have sold out year after year, so this year we’re proud to offer three concerts, guaranteed to give even more Chicagoland music lovers the opportunity to toast “good bye” to the old year, and hail the arrival of the new,” says Muspratt. The program will start with Josef Strauss’ rousing “Schabernack Polka,” then continue with J. Strauss Jr.’s “Emperor Waltz.” Guest tenor John Irvin will join Muspratt and NP for Rudolf Sieczyński’s “Vienna, City of My Dreams” and will also be featured in Erich Wolfgang Korngold “O Freund, Ich Werde Sie Nicht Wiedersehen,” in these celebratory concerts replete with surprise encores, a New Year’s Eve champagne toast, the traditional “Auld Lang Syne” and more. New Philharmonic, under the direction of Maestro Kirk Muspratt, presents three New Year’s Eve concerts at the McAninch Arts Center, located on the campus of College of DuPage, 425 Fawell Blvd., Glen Ellyn, Ill., Wednesday, Dec. 31 at 1, 5 and 9 p.m. Tickets are $55 (1 p.m.); and $65 (5 & 9 p.m.) A limited number of $10 student tickets will also be available, with valid student ID. To order tickets, call 630.942.4000, or visit AtTheMAC.org.